The colder months are my favorite time of year. From fall through winter, we break out all the cozy sweaters, light up the fireplace and indulge in the best comfort foods. The nights are longer, which most people hate, but I happen to love because it motivates me to finish my day earlier. I get caught up in whatever book is on my nightstand, maybe watch a show or two, or simply spend time with friends or family. Believe it or not, I enjoy going out and meeting people for drinks or dinner more in the colder months than in the summertime. It sounds a little backwards but there’s something about crisp winter air and meeting people in warm, cozy restaurants when it’s already black outside by 6PM. With all that said, you’re probably not surprised when I also tell you this is my favorite time to travel. I prefer being able to explore whatever destination I’m visiting without sweating and feeling like I can’t take off enough layers. This also tends to be a time of lighter tourism for many places too so an added perk is less foot traffic. 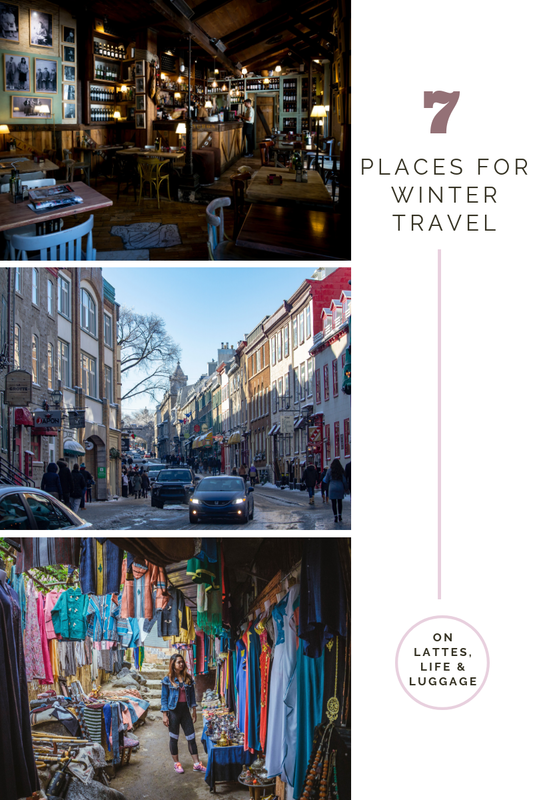 I thought it would be fun to share a few of my dream winter travel destinations. You might be surprised that not all of them have colder climates! If I get lucky enough, one day I’ll be able to experience the Biltmore Estate during a snowy winter day. I could probably spend an entire trip to Asheville on the Biltmore Estate alone but a few other things that draw me to this particular city are the art scene and amount of historic architecture. I just want to walk the streets and drive around. It’s a great destination for a winter hike which is right up my alley considering the bugs are nonexistent or, at worst, minimal. Asheville has also become a burgeoning food scene on top of it being a great spot to explore breweries. A few things not to miss, other than the Biltmore Estate, include downtown Asheville and the River Arts District. Morocco is very close to the top of my wanderlust list. From the flavors of the food to the colors in the streets, it’s a destination that I can’t wait to explore. Coincidentally, traveling to Morocco in the cooler months is the best time to go because temperatures are at their coolest (obviously). I lumped the two Moroccan cities together here because they could be tackled in one trip with proper planning and time. Marrakech and Fez usually get more attention than Casablanca but the city that inspired one of the most iconic films has quite a bit to offer. For starters, it provides a stark contrast of the past and the present. 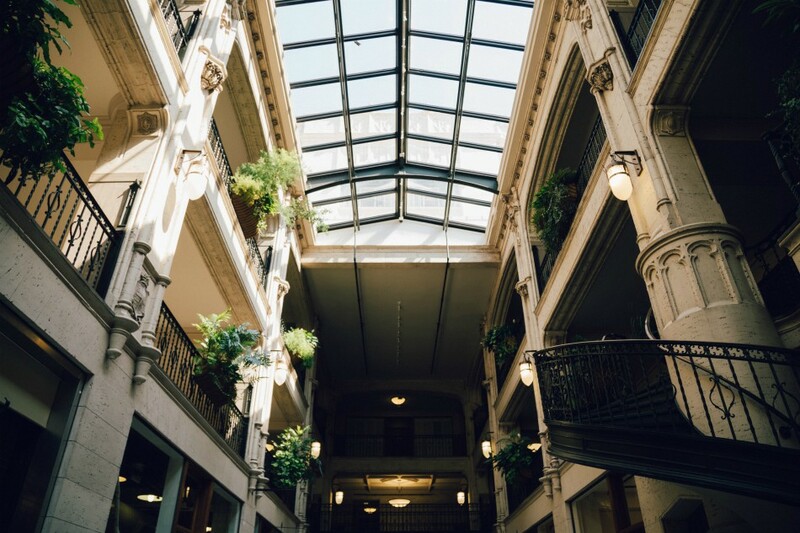 Old architecture is all over the city making it feel like you’ve stepped back in time. There are several different styles from the detail on the oldest mosque in Morocco to the art deco from the 30s and 40s. You can even still experience the French influence left from colonization. Casablanca has a global food scene with some of the best cuisine from around the world and for those who love the movie like me, Rick’s Cafe which is about as identical of a replica you’ll ever see. Marrakech doesn’t need as much explanation as Casablanca since it’s become a famous city for travel without any help. It makes sense with the markets that explode with color, food that is a lifestyle and not just an experience, plus unlimited historical sites. 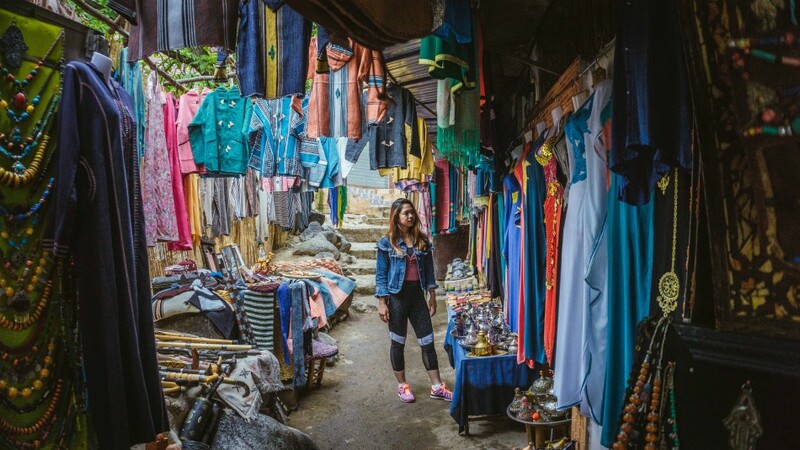 The detail throughout Morocco from muraled floors and walls to marketplaces bursting with artistic talent...there’s hardly a reason not to visit this country overflowing with culture. NOLA has been on my travel wish list for a few years now. I decided almost three years ago that I wanted to take a January or February trip to New Orleans. The weather is at it’s best for my personal tastes and it’s actually one of the more affordable times to visit as well. The trip would be separate from Mardi Gras because intense crowds are not my style but still early in the year. Something tells me that kicking off the new year with a trip to NOLA wouldn’t be a bad start. A few things on my wish list are visiting Cafe du Monde (obviously), the French Quarter, eating plenty of Cajun food, listening to a lot of jazz music, and touring lots of historic homes. I’d also visit both The Tahyo and Tahyo Tavern, two businesses that benefit Villalobos Rescue Center which you might be familiar with through Pitbulls and Parolees. I’m a sucker for animals, especially the pups, and this show has really opened my eyes to the cruelty people can give animals. I love that the tavern serves cocktails named after some of the togs. It’s always fun when you get to do something you love but also give back to a cause that you’re passionate about. I might also see if there are any ghost tours or film set tours for things like Vampire Diaries because...nerd. You will never find me on the slopes but you will find me in a cozy cabin curled up in front of the fireplace with a good book! Whenever I say I want to go to the mountains, it’s never for the winter sports. It’s usually for the views, the ambiance, and the cozy feeling to every single cabin, cottage, restaurant and bar. Mountain life is all about warmth and getting in from the cold. Each place reflects that coziness you want to feel after being outside in the freezing temperatures all day long. I love to soak it all in. There are three main reasons I’m adding Park City to this list: the food, downtown Park City, and the spas. Park City has a fantastic food scene which might seem surprising but shouldn’t be considering it’s one of the more popular ski towns in the US. People have to eat! Downtown Park City is what mountain town dreams are made of. I am dying to walk through those streets even it will make me feel like I killed my thighs. Speaking of killing my thighs, the spa is the perfect solution to soothe all those aching muscles. I rarely pamper myself so Park City would be one of those TLC vacations. Quebec has made its way around these parts a few times. I have an obsession with French Canada. I don’t live that far either which makes me kick myself every time another year goes by and I haven’t visited. I’ve seen photos of Quebec City year-round and winter looks like the most magical time to visit. The city covered in snow is something you’d see in fairy tale books. There is a long list of things I’d love to see in Quebec City from Old Quebec to the Maison de la Litterature. The amount of history to be felt in the city is a selling point all on its own. Then there’s Château Frontenac, Île d’Orléans, The Ice hotel, and toboggan rides. Quebec City’s food scene is something to admire and within minutes of the city there are numerous nature experiences you won’t find anywhere else. Be prepared to read signs in French though. Brush up on your basic communication skills too. You won’t regret it! Being an Italian who has never been to Italy, it doesn’t make much sense why. There’s a solid reason though. I know once I take my first step on Italian ground, I will never want to leave. So I’ve waited to take a trip to the motherland until I’m able to spend a lot of time there. Italy is one of the few countries with every climate. Have a traditional mountain experience in the Northern part near the Alps. Head to Naples for an Italian Mediterranean experience and for even warmer climates, go farther south to Palermo. 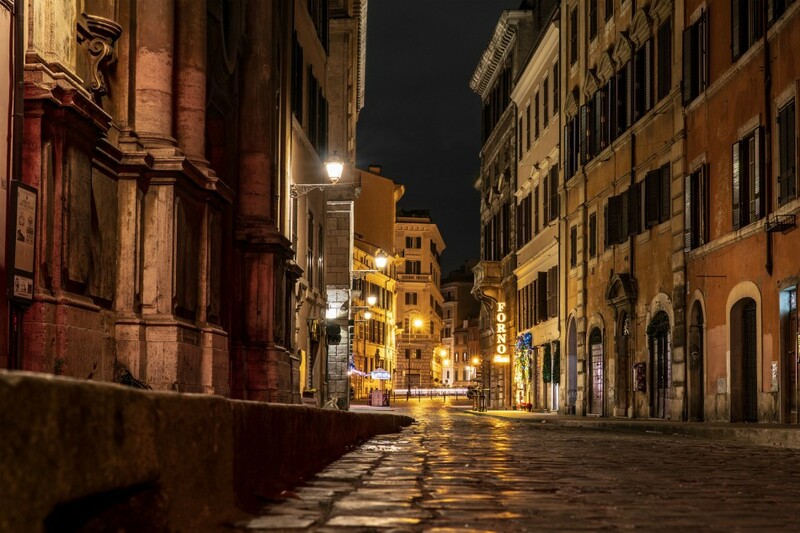 Rome is towards the center of the boot and has mild temperatures throughout the winter averaging in the 50s and 60s through April. The beginning of the year is traditionally a lower tourist time so you have a better chance at getting a look at the Trevi Fountain. Rome will be on my wish list until the day I get to this ancient city but I want to share a little PSA here. The amount of foot traffic and lack of respect from visitors is destroying this beautiful city. If you happen to pass through Rome in your travels, be respectful to the people and the history. Remember that people live there and you should respect their home as much as you’d want them to respect your own. It’s hard for me to believe that we live in a time where basic respect during travel has become a luxury for many destinations but it’s true. Sad, but true. Seville is another one of those cities where it gets really hot so winter travel is best for those who do not prefer the heat. I don’t talk about Spain much but it’s among many countries that I would love to visit. Seville in particular is one of the less talked about cities that should get more love. You will not see me anywhere near the famous bullfighting ring because I disagree with that sport on every possible level. However, you will find me wandering the Triana and Santa Cruz, otherwise known as the old Jewish quarter. Sunsets in Seville appear to be absolutely dreamy. Like basically every other European town, the photo opportunities in Seville would be endless. You’ll find me sipping espresso in cafes often and munching on the local tapas. Nothing makes me happier than a meal full of tapas. I might even nerd out a little and look for the key filming locations for House Martell from Game of Thrones.